As an outpatient health centre with locations in Schopfheim, Muellheim, and Bad Krozingen, we guarantee service for dialysis patients in the area of the southern Upper Rhine. At all three locations, we have implemented the concept of facilities linkage with clinics, and therefore can offer patients a high level of medical quality and competence in conjunction with our partner clinics. 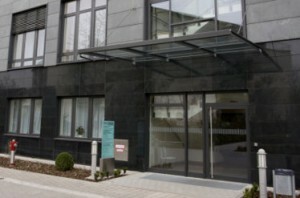 The medical care offered to our patients is made complete via positive and close cooperation with the specialists and primary care physicians, as well as through close cooperation with the University Hospital in Freiburg. At the Bad Krozingen health resort, our centre is in the premises of the ‘Herzzentrum’ (University Heart Center Freiburg), one of the largest and most renowned cardiac centres in Germany and Europe. There are 20 dialysis and apheresis stations available for our patients here, in the new, spacious and beautiful facilities that were acquired in the fall of 2007. 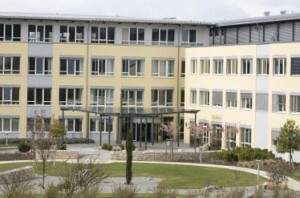 In Müllheim, the ‘capital’ of Markgräferland, our centre is located in the premises of the Heliosklinik (Helios Clinic), a hospital offering the middle level of care. The concept of ‘integrated patient care’ is fully realized here by closely cooperating with the hospital’s medical and nursing team. There are 22 dialysis and apheresis stations available for our patients here, in the new, spacious and beautiful facilities that were acquired in April of 2005. 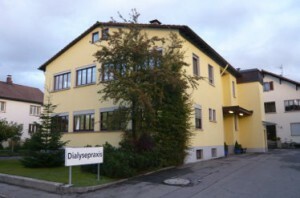 In Schopfheim, at a medium-sized centre in the Wiesental (Wiesen Valley) on the southern Upper Rhine, patients have access to dialysis treatment facilities in our local Kreiskrankenhaus (district hospital), and to treatment rooms in a separate building in the district of Fahrnau. A total of 28 dialysis and apheresis stations are available for our patients in Schopfheim.